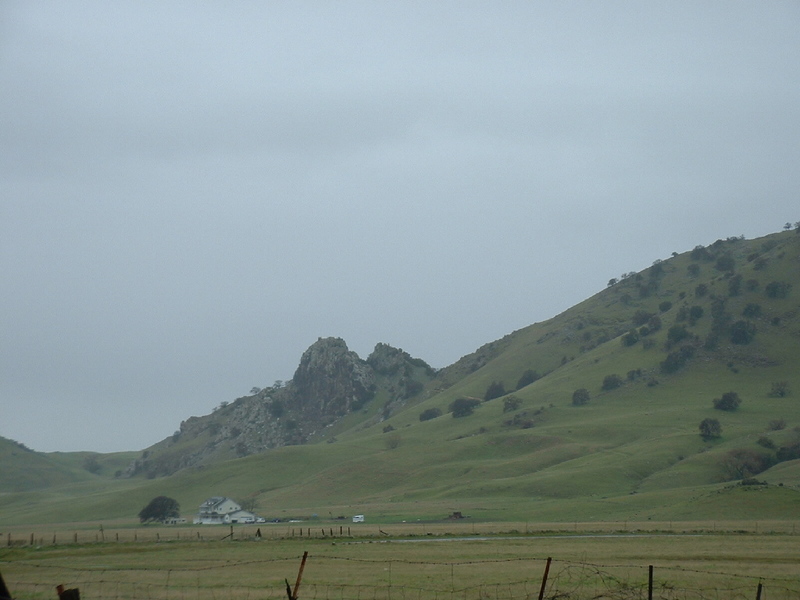 The Sutter Buttes is tiny little stand-alone mountain range, isoloated in the middle of the Sacramento valley west of Marysville, and is on the books as the smallest range in the world. The place has always intrigued me as I've driven past it when driving down the I-5 corridor, begging me to come meet it up close and personally. I decided to do just that, out of the blue, in November of all times, and the weather wasn't much different than I expected...wet! The range itself is all private land now, if you can believe it! Selling a mountain range...that's our legislature! Anyway, you can drive all the way around the entire range in a few meandering hours and even probe a little ways into it before the locals confront you or you hit a locked gate. There are tours of the rinterior, I found out via the web, but their scheduling isn't accomodating. And hiking with a bunch of unknown people doesn't really strike my fancy. nonetheless, the views that you CAN see from the perimeter are good enough, as you see. Peace valley was one of my favorite spots, not just because of the name. 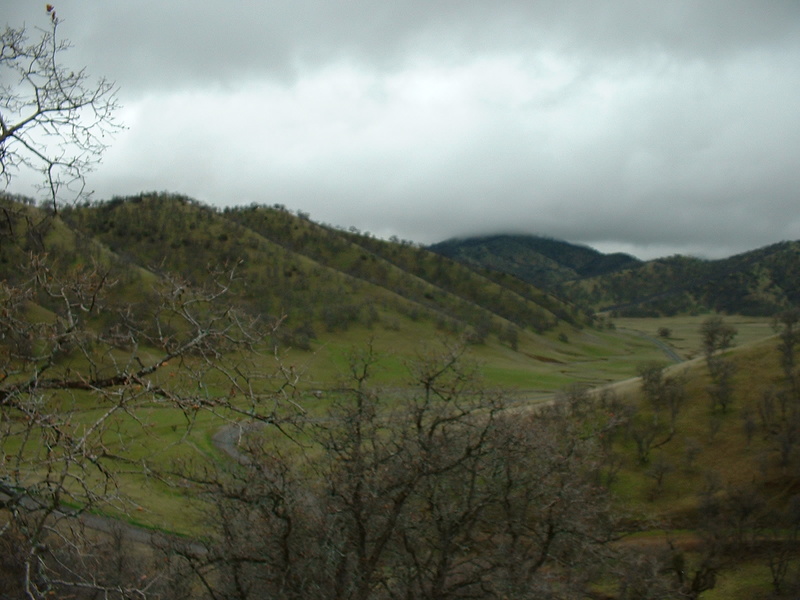 And there are some magnificent old Valley oaks (California White oak) dispersed around the foothills, too. 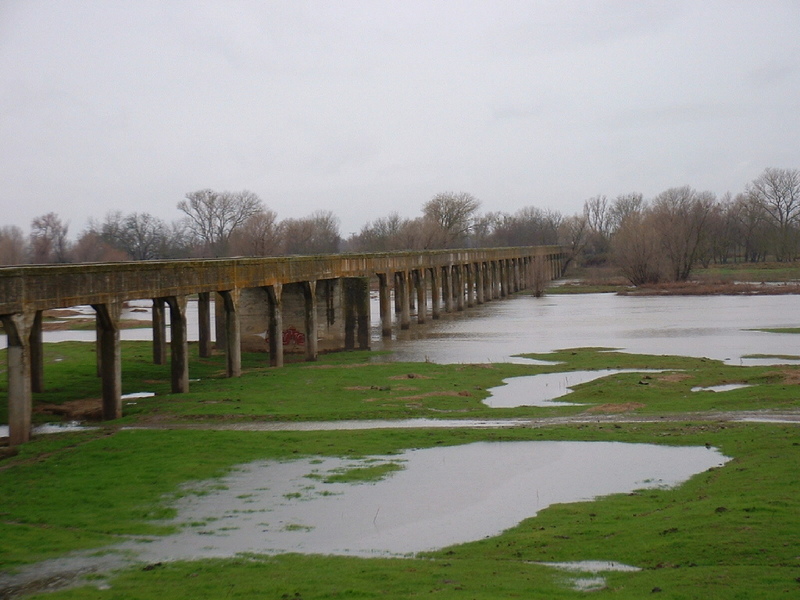 Here's a neat old bridge that's not used anymore, which was used to traverse a flood plain, not a river. All in all, it was a great trip, and the season that I chose to go in rewarded me with a sky simply covered with birds of all kinds. 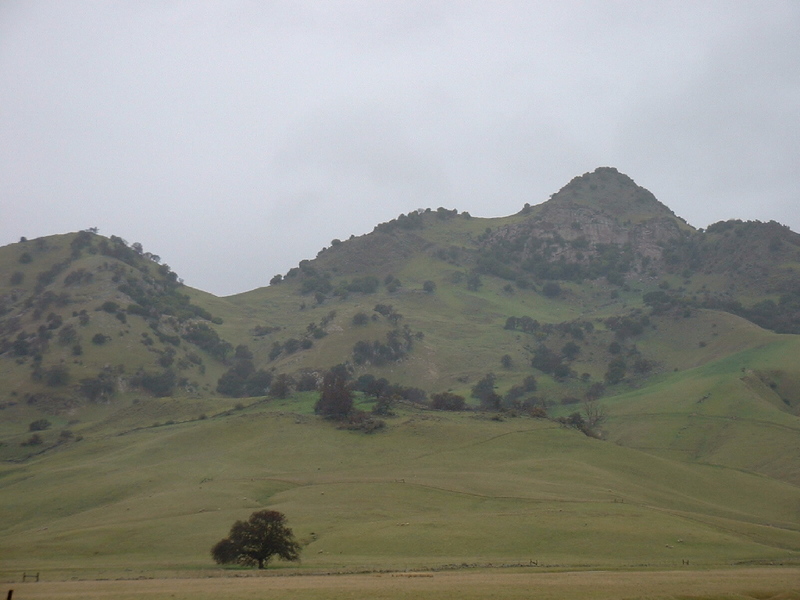 The Buttes are surrounded by wildlife refuges, many of which are worth a trip in themselves. If you have been staring longingly at this little mountain range as you drive down I-5, then it's time to take the plunge. It's only 15 minutes off the freeway and is well worth the trip, in any season!